ID: 2089 ~ Source: BU Records: NoZe Brotherhood, Accession #BU/384, Box 5, Folder 21, The Texas Collection, Baylor University. The NoZe Brothers fund their organization in part by selling advertisements in The Rope. Yet the ads have a typical NoZe Brothers spin. 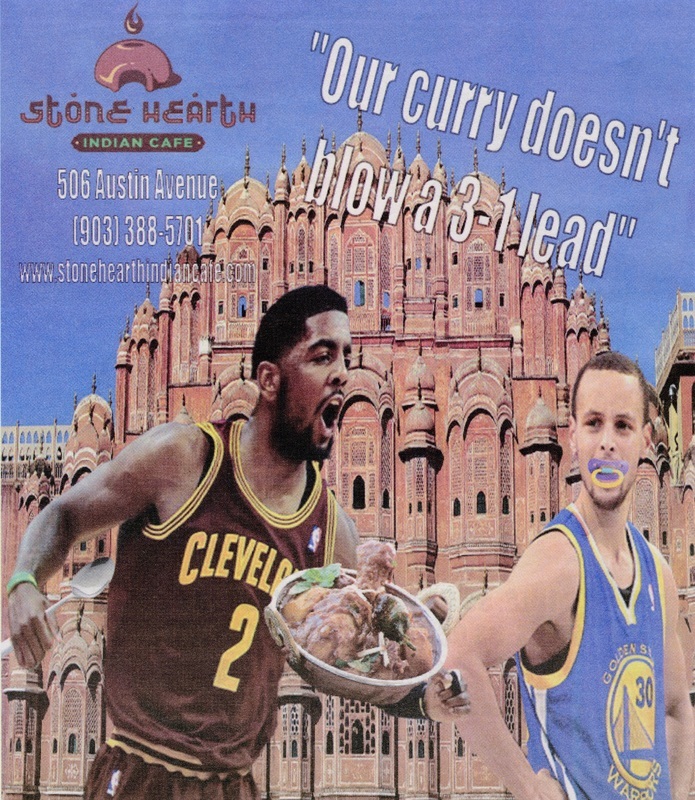 Here is an ad for a local Indian food restaurant in the 2017 spring issue, but it teases Steph Curry about losing the NBA championships.